Games at the Grind House aren’t known to be aesthetically pleasing, but last night’s game was particularly hard to watch. There was the usual pushing and pulling requisite of any matchup with the Grizzlies; bobbled passes; technical fouls; and 44 combined turnovers. 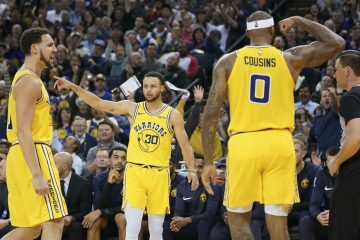 Despite the rough-and-tumble contest, the Warriors managed to blow the game open in the fourth and tie a franchise record for wins to start a season at 9-0. 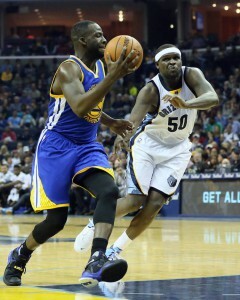 1) Seeing Memphis on the Warriors schedule used to hearken traumatic memories of schoolyard bullies. 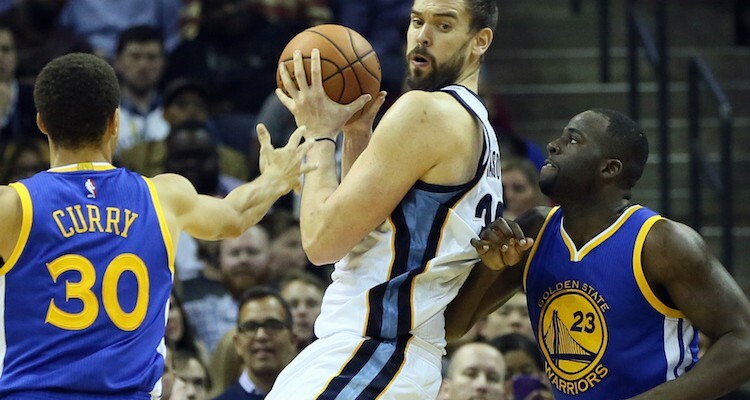 The Grizz front line were like Nelson to the Warriors’ Bart Simpson. But any kid who ever got pounded on by someone bigger knows the feeling that comes after the beating: I’ma get you when I grow up. 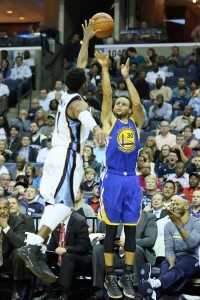 From Stephen Curry’s rookie season through the Mark Jackson era, the Ws were 4-11 against the Grizzlies’ bully ball. Since then, however, the Dubs have flipped the script for a record of 9-3, including playoffs. Done. Growed. Up. 2) The league has probably figured out the Green to Festus lob play. It didn’t work against the Pistons and it didn’t work last night. Draymond tried the lob three times in the early going and each time the attempt was batted away. Say farewell to Festus’ point average and field goal percentage. 3) You have to commend Memphis for continuing to zig when most teams prefer to zag. The Grit ‘n Grinders are on pace to make 385 threes for the season at a 26% clip. Curry is on track for 401 triples by himself. A playoff-caliber team not taking and making threes at a high volume in 2015 is like meeting that guy that tells you his email address ends with @hotmail. 4) Most of the focus of the Grizzlies’ slow start has been on their lack of threes, and rightly so, but their defense has fallen off a cliff. Last season they ranked fourth in defensive efficiency, but coming into the game they were 24th. The Dubs have taken a tumble too: from first last year to second this year. 5) My friend from Boston once called Jeff Green the most frustrating player he ever rooted for. Green would go toe to toe with Lebron one night, and then score 3 points the next. My greatest fear for Harrison Barnes used to be that his career would parallel that of Green’s (Don’t forget, young Green had some moments. He once scored 43 points against Lebron and the Heat while MVP chants rained down from the Garden fans). That’s out the window now as HB has become a better shooter and defender, but like Green, Barnes can still be maddeningly inconsistent despite all the athletic talent. 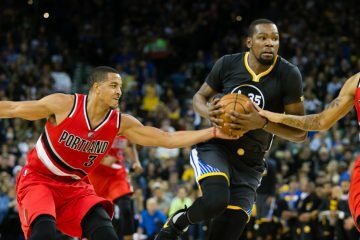 Seeing Green (29) play only 17 minutes and register a minus-5 for the game made me wonder again: Is it a bad thing Barnes turned down the Warriors reported 4 for 64 offer? I’m confident the Black Falcon will get a deal north of those numbers this summer with the impending cap boom, but I’m not confident I want him soaring for the Warriors at that kind of money. 7) On the Grizzlies telecast, the announcer said the Warriors complaining to the refs was Clipper-esque. Can’t say I disagree. It’s starting to get grating even on TV. 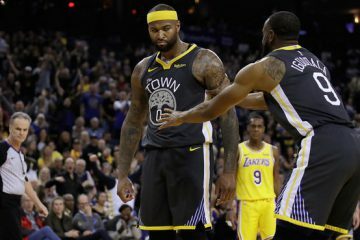 8) Draymond has 3 technicals on the season, He certainly has the money to cover the fines, but suspensions start coming ‪after the 16th‬ tech. Dray is on pace for 27. 9) I didn’t realize how much I missed the bastardly ways of Andrew Bogut (read Zach Lowe’s fantastic piece if you don’t know why I’m talking about). I enjoyed watching him tug on Aron Baynes arms last night trying to slow the fellow Aussie down as he was getting beat up the court, and I loved his intentional foul on Randolph when Zach got the ball deep in the post. Randolph had a sure two, but because the Warriors weren’t in the penalty, the foul meant side out of bounds. Crafty. 10) I usually try to include at least one semi-funny comment in these Rewinds — I sat at the computer for 20 minutes trying to think of something witty — but this game beat it out of me. I gave up. Mike Conley I am not.